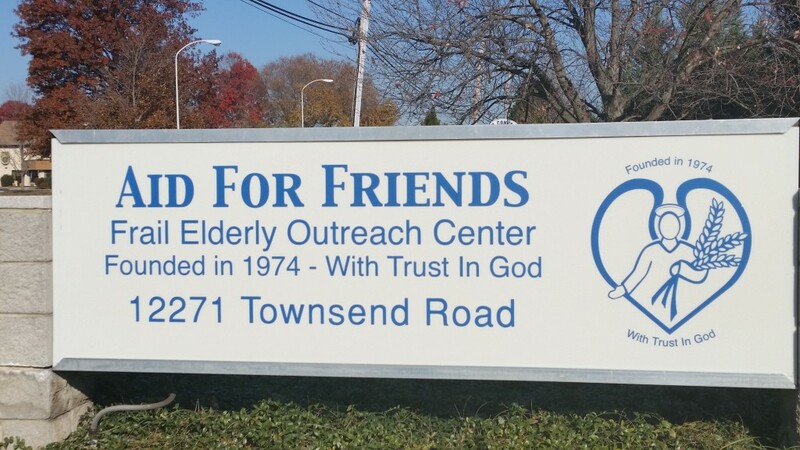 Each year the Fighting Robovikings has helped our community by reaching out to the isolated homebound. Members of Team 2607 prepare, assemble and pack home-made meals for Aid For Friends. Aid for Friends is the largest and most comprehensive meal delivery program in the five county Greater Philadelphia region. 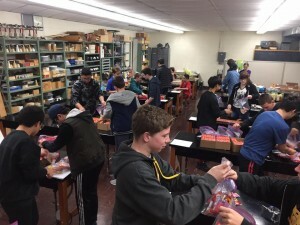 This year members of our team 2607 got together to pack breakfast bags for Aid for Friends. 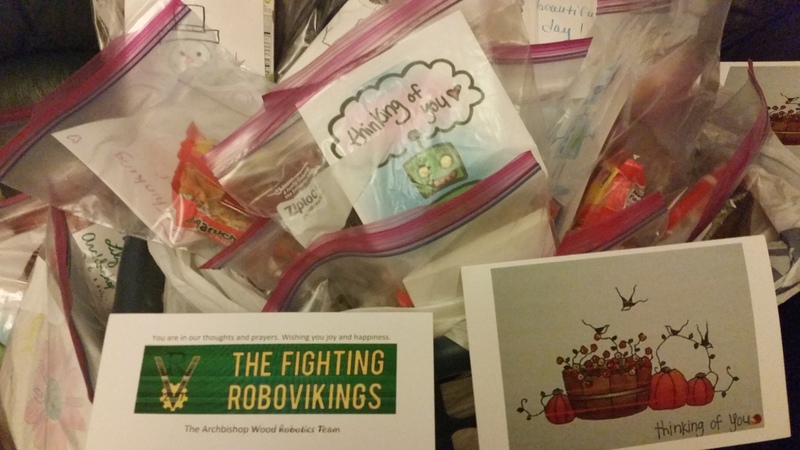 The fighting Robovikings assembled breakfast and snack bags for Aid for Friends to provide to home bound members of our community. The team donated items like granola bars, juice, cocoa etc. and coordinated an assembly line and packed 196 bags. “We Care” hand made cards for Aid For Friends. Members of the Fighting Robovikings made 196 “We care” cards to go along with the breakfast bags. The shut-ins really like to receive these cards and they love to hang them on their refrigerators. These small tokens of appreciation keep the home bound feeling connected and cared for. 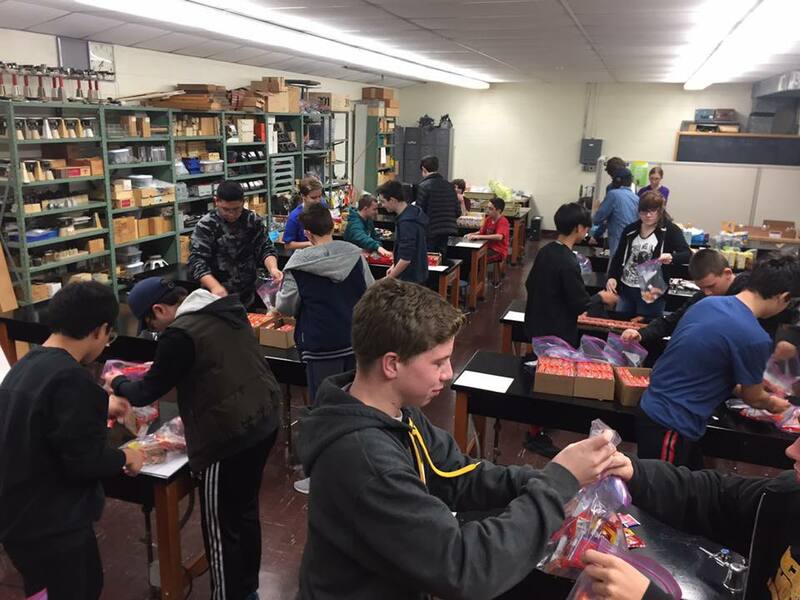 On Wednesday, November 16, 2016, the Robotics team got together to assemble breakfast bags for Aid for Friends to provide to homebound members of the community. 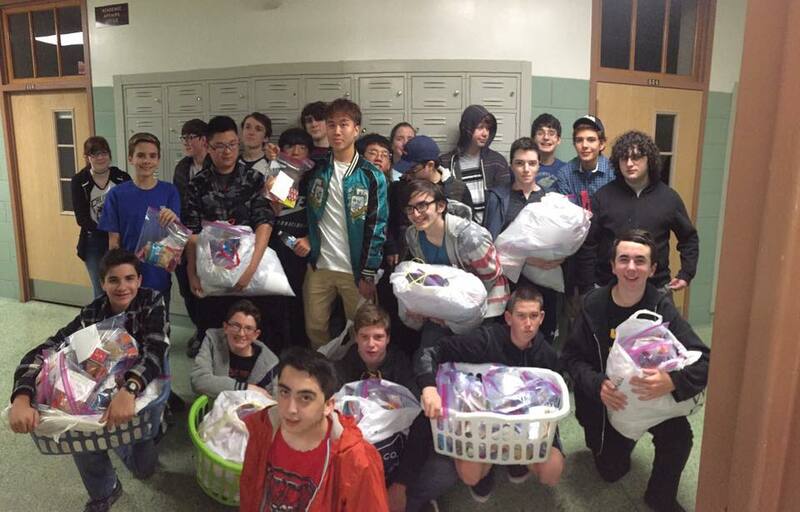 On Saturday, November 19th, members of our team brought 188 breakfast bags to Aid For Friends facilities. The team worked hard packing bags and making “we care” cards and to all who donated items for the bags. 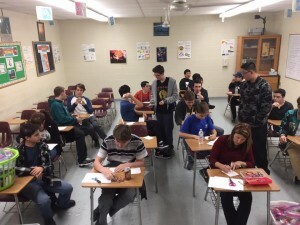 This is one of the many outreach and charitable events the RoboVikings performs throughout the year.